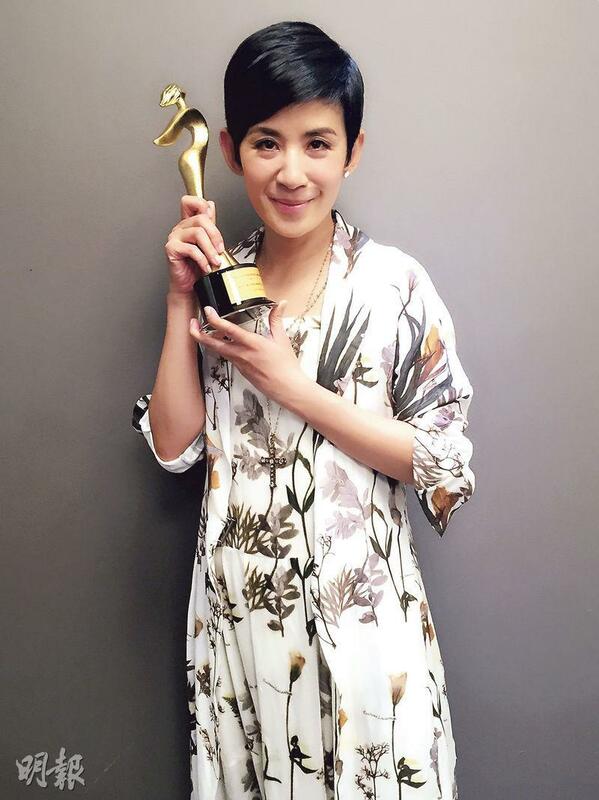 Sandra Ng Kwan Yu recently won three film awards. Earlier she received the Golden Phoenix Award in Malaysia. Yesterday she won the "Most Memorable Hong Kong Film Female Character" with GOLDEN CHICKEN (GUM GAI) and the "UA Highest Grossing Hong Kong Film Actress of the past 30 years". Because she was busy with her play, she was unable to accept the award in Malaysia in person. The Golden Phoenix Awards invited two Datuks and the Golden Phoenix Award promotional ambassador, famous Malaysian illustrator Pocotee to present the award to Kwan Yu in Hong Kong. Kwan Yu won the Hong Kong actress with the highest cumulative box office award. Actually as early as 10 years ago she and Andy Lau Tak Wa already won the highest cumulative box office Hong Kong Actor and Actress awards, but she said, "Thank you UA for giving me this highest box office Hong Kong actress of the past 30 years, but first I have to clarify, I haven't been making movies for 30 years! According to this calculation, I won 10 years ago, now I win again. As the accumulation goes, actually 10 years from now, 20 years from now I should still be the one who wins!" She felt very lucky to have encountered the golden age of Hong Kong film and made many good films. Many people also gave her the opportunity. She admitted, "Because since 2000 Hong Kong film market started to decline, I continued to be the highest grossing Hong Kong actress. However I hope the future Hong Kong film market will be more vibrant and thriving, so the new generation of actors can have even more opportunities."